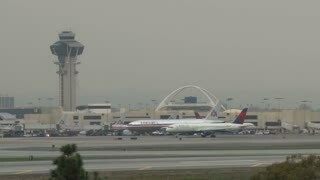 LOS ANGELES - Circa February, 2016: An American Airlines jet taxis to the runway at LAX. 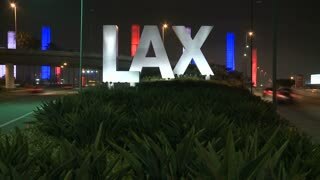 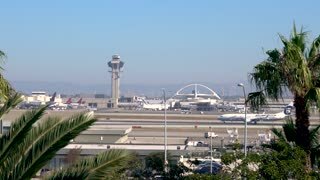 A daytime exterior establishing shot of LAX airport. 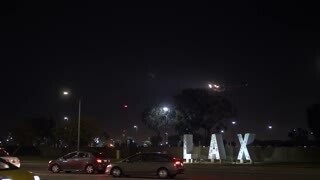 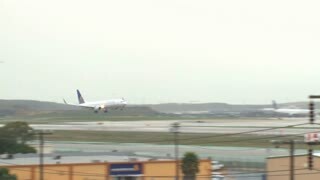 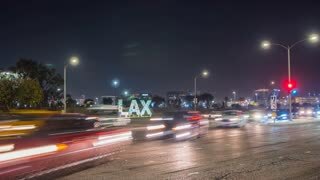 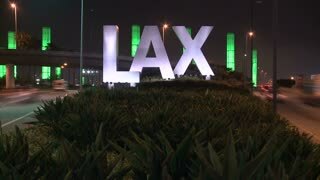 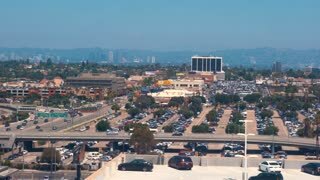 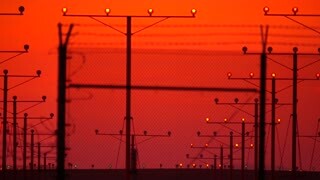 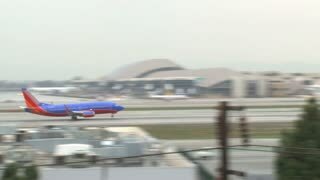 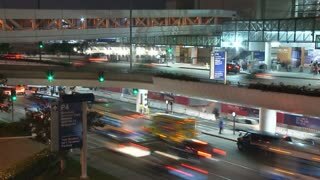 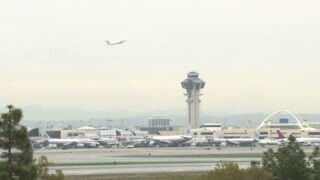 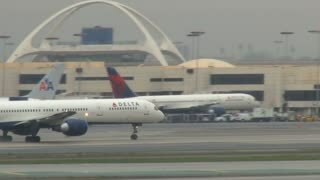 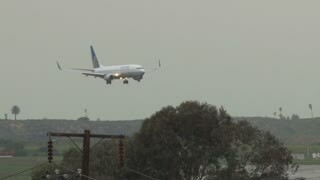 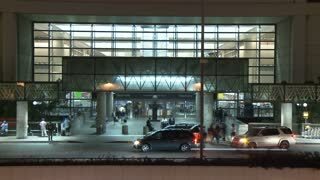 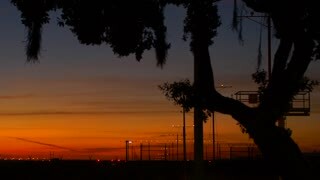 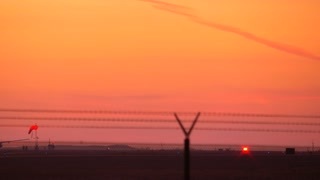 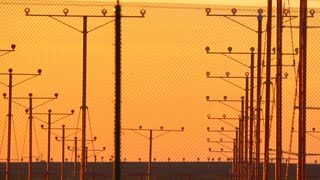 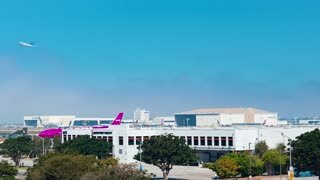 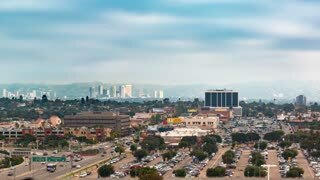 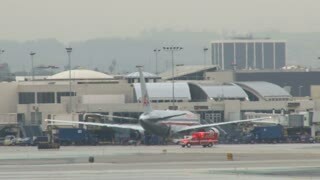 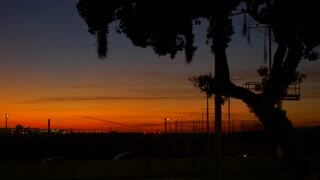 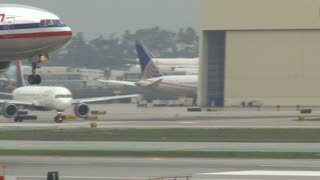 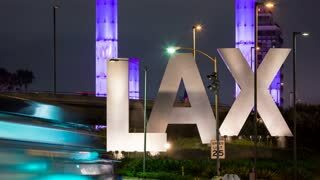 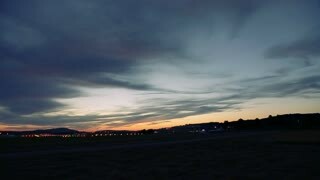 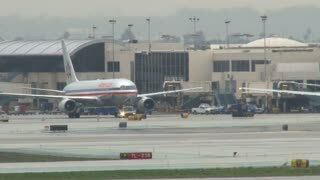 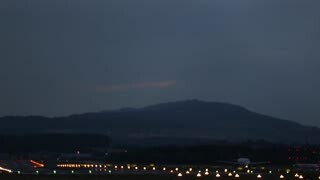 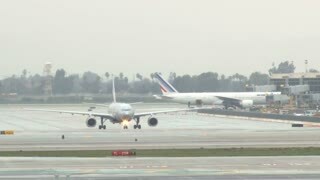 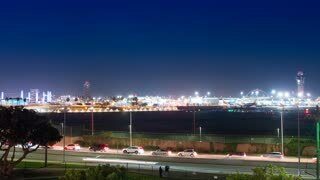 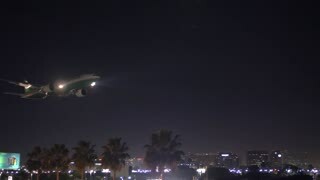 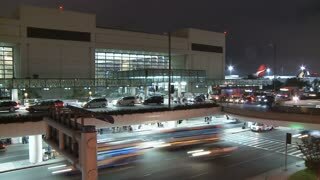 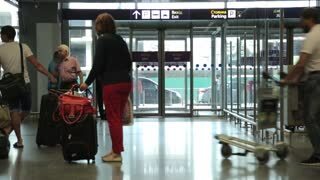 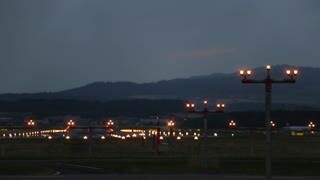 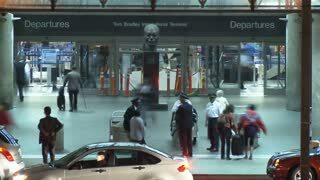 Cinemagraph - Control tower and airplane traffic in Los Angeles International airport LAX. 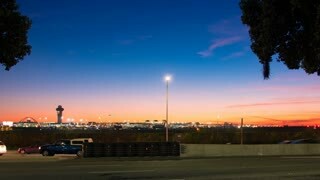 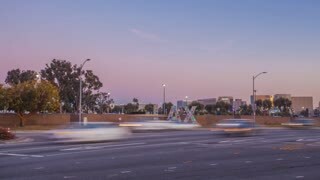 4K UHD Motion Photo Timelapse.